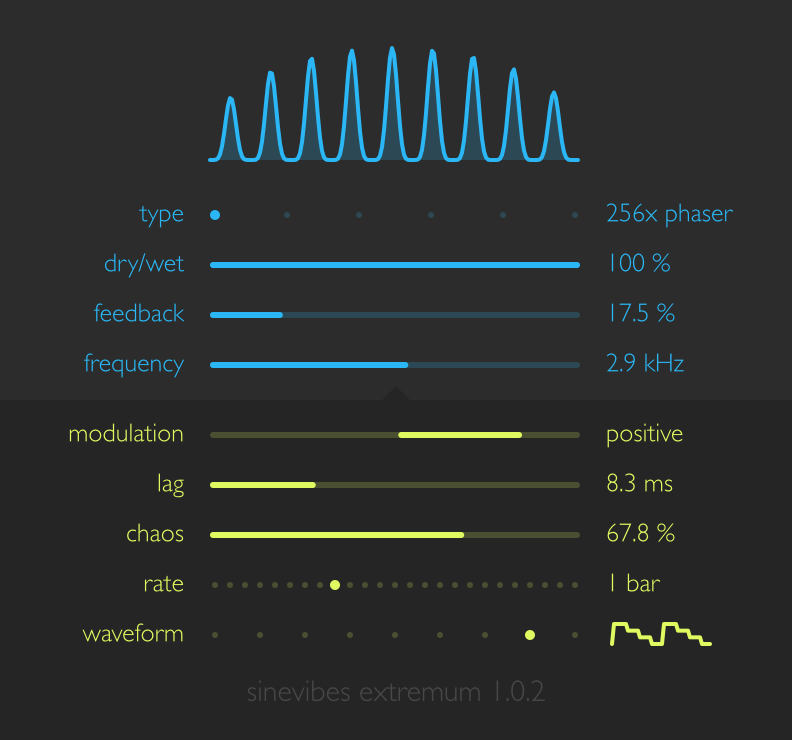 Extremum is an effects processor built with one huge goal: to turn even the most simple sounds into insanely interesting, tonally rich and exciting new material. It features a collection of phaser, chorus and filter algorithms comprised of up to 256 stages and 16 feedback lines – all of which apply radical but finely controllable transformations. And to take it even further, Extremum has its own tempo-synchronised modulator with multiple waveforms, variable lag and chaos.